Description Reading and storing data is a core part of any application, and .NET developers want database access to be easy and intuitive. 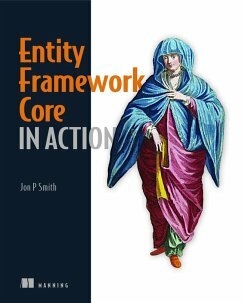 Entity framework Core is a .NET library designed to simplify data persistence, bridging the mismatch between the different structures of object-oriented code and relational databases. Entity Framework Core in Action teaches developers how to add database functionality to .NET applications with EF Core. Key features · Clear Introduction · Teaches from real-world applications · Hands-on examples Audience This book assumes readers are familiar with .NET development and some understanding of what relational databases are. No experience with SQL needed.